Wireless Earbuds are very convenient to be used in daily life, especially for people who like sports. After compared more than 30 different wireless earbud set, we list the best wireless earbuds in our mind and hope it can help you too. Why you need wireless earbuds? Wireless earbuds can let you alone with nice music in a public place. Wireless earbuds can let you experienced the beauty of High-tech in bluetooth. Working principles of wireless earbuds can be divided into the following four parts. The Bluetooth headset receives the digital signal and converts it to an analog signal that can be understood by the adult through the Digital-to-Analog Converters (DACs) inside the Bluetooth headset. The earphone unit receives the amplified signal and emits a sound, and the ear hears the music sound. What factors should you take into consideration? Comfort is the primary factors that determine your choice regardless of the type of earbuds. 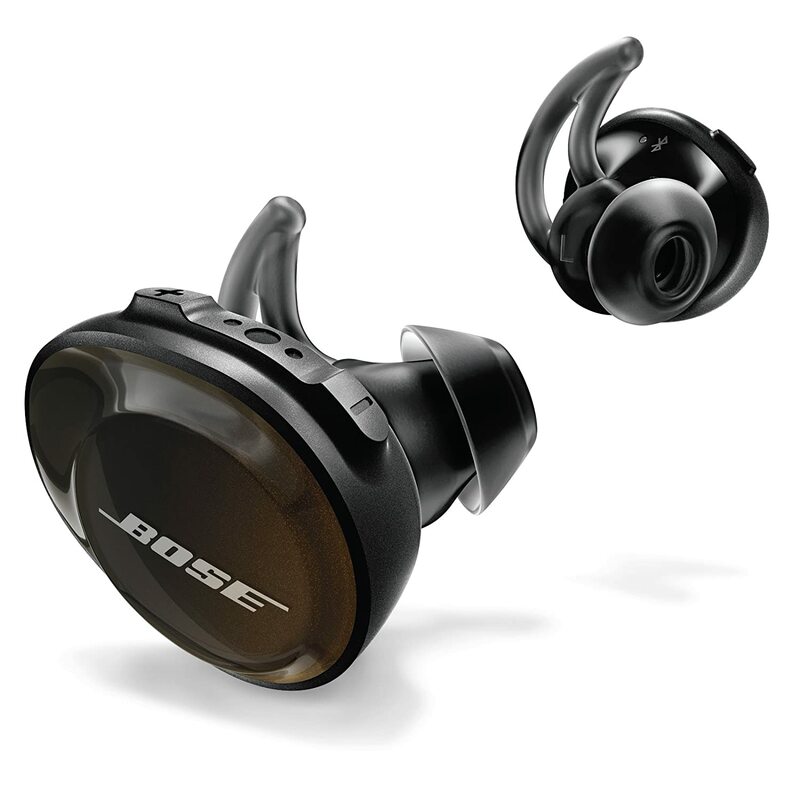 Notably the size of the wireless earbuds make great contribution to comfortable. Playtime: How long does it take to recharge a battery, the industry test standard is to turn off all other functions (noise reduction, etc.). Due to the difference in actual use intensity of each person, the life time and the nominal time will fluctuate. Standby time: After the battery is fully charged, it indicates that the battery is low after being used for a few days. This is the lack of standby time. Charging speed: The headset is out of battery, and you are rushing to use it. The faster the headset charge, the shorter you will have to wait. The sound quality is mainly determined by the decoding technology. At present, there are three main encoding and decoding technologies for Bluetooth transmission: SBC, AAC, and APTX. SBC: All Bluetooth products support SBC. Due to the relatively large compression loss, its sound quality is the worst among the three codec technologies. It is mainly adapted to Bluetooth calls. This approach was used in early headset, which is leading people to create the impression that the sound quality of the wireless headphones was poor. AAC: Advanced Audio Coding, which uses a new algorithm for encoding, more efficient. It makes people feel that the sound quality is not significantly reduced, but also more suitable for Bluetooth transmission. aptX: With the ever-increasing volume of music files, the demand for compression is getting higher and higher, so CSR introduced aptX technology, which allows audio to maintain high quality when compressed, up to the CD’s audio quality standards. The three mainstream codecs, the sound quality of the order is aptX> AAC> SBC, in an aptX contrast SBC test, you can see SBC (red) has a larger distortion, and aptX still maintain a stable curve. Bluetooth transmission performance in the connection stability, anti-jamming capability, transmission distance and so on. Since the human body itself has a great interference with Bluetooth, Bluetooth headsets with poor transmission performance may be worn on the right side and worn on the left side may appear intermittent. Put the phone a little far away (3-5 meters), put on headset, and test the phone with the headset in front and in the back and forth. Besides the above factors, you should also take the outlook、color and price into consideration when you buy a earbuds. If you are looking for a noise canceling headphone, there are lot of selections out there, but if you want a pair of earbuds with noise canceling, you may not have many choices. At present, Sony SP700N is the only earbuds with this feature. EXTRA BASS, this is a pair of earbuds with EXTRA BASS sound with deep, punchy low end. SPORT, it is lightweight, and in order to support sports, the body also supports waterproof, which is Splash-proof IPX4 rating. Battery life up to 9 hours with carrying case. As an sports earbuds, the most important thing is wearable. 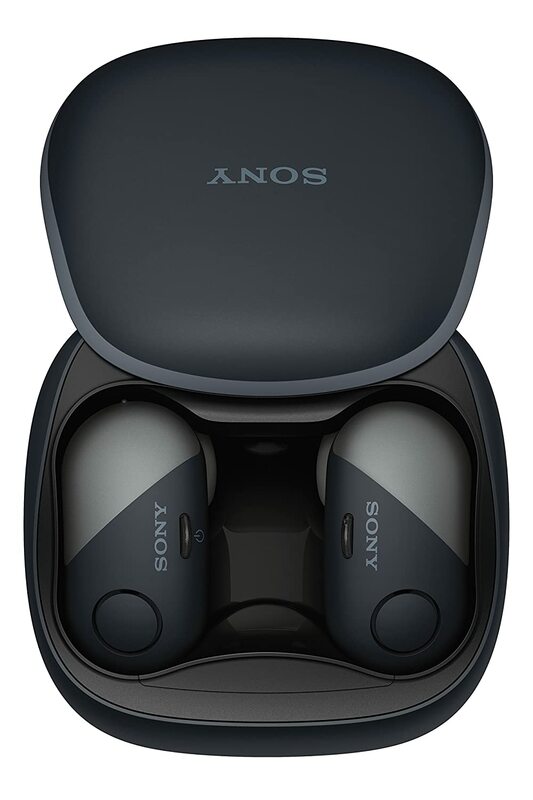 Sony specially designed the structure of the earbuds, makes it more comfortable and stable. It has multiple fixed points which make it tight to the ear. Since it is a pair of SPORT earbuds, it is not particularly good in sound and performance. It doesn’t support LDAC and without DSEE HX, S-Master HX, SENSE ENGINE. In general, the performance of the WF-SP700N is very good. 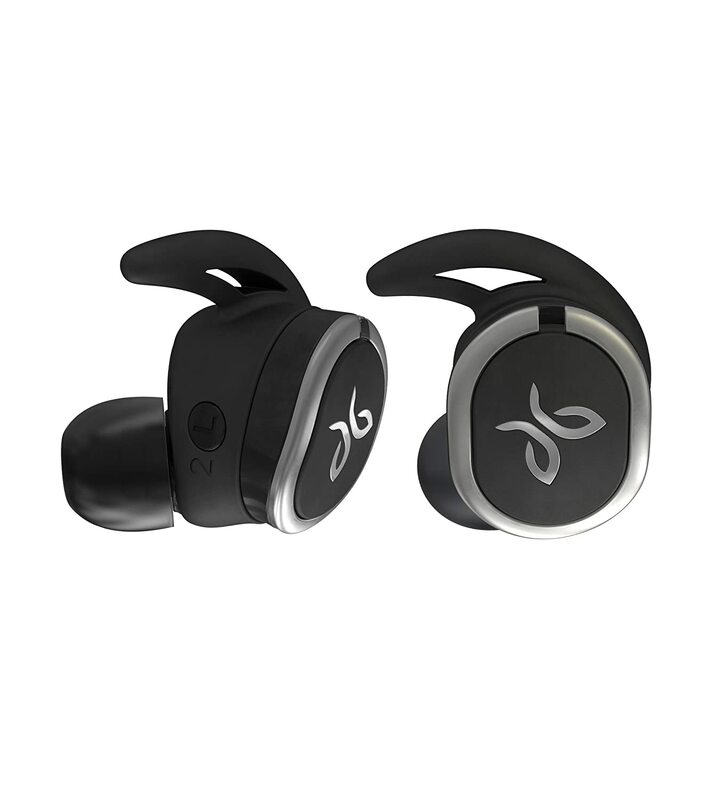 The Jaybird Run are available in either black or white finishes, both with silver accents. The Bluetooth antennas are integrated into those silver parts, providing a clever way to help keep down the size of the earbuds. alternatively, you can configure the buttons as volume up and Answer/Reject on the right and volume down on the left earbud. In this mode, double-pressing each earbud skips a track forwards or backwards. I prefer having volume adjustment over access to a digital assistant, but then I rue the lack of being able to pause my music. It’s all about the fit when it comes to true wireless buds, even more so if they’re designed for high-intensity exercise. As is standard with Jaybird, you get a range of fit options in the box. Importantly, the case will provide eight hours of charge, topping up the four hours of battery life in each earbud. That gives you 12 hours in total, which is respectable. The real game-changer is the quick charging, however. With just five minutes in the case, you’ll get another hour of listening time, which is impressive. Not quite perfect, but these true wireless earbuds charge incredibly quickly, sound great and won’t fall out of your ears. Appearance B&O E8 have a premium design that B&O Play says is sweat-resistant. They are a well-crafted mix of aluminum, rubber, and plastic, and there are no physical buttons on either bud, they can avoid water or sweat to seep into. Comfortable With four sizes of silicone ear tips come with the B&O E8s, it can satisfy almost anyone. And the Comply foam tips provide superb noise isolation after you ware it. You will obviously feel that the noise outside fading away as they expand to form a tight seal in your ear canal. 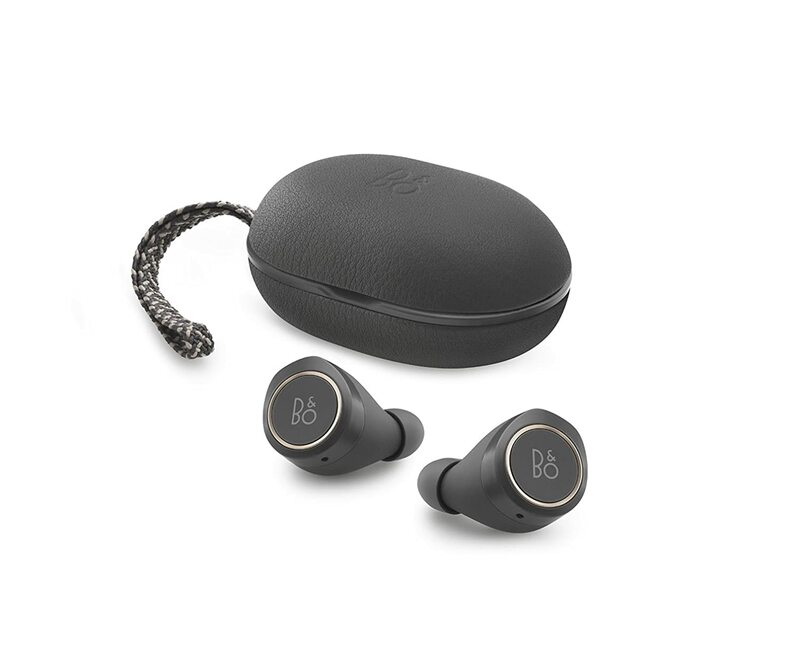 Sound Quality B&O E8 is awesome in terms of sound, each earbud contains a 5.7mm electro-dynamic driver, and offer a frequency range of 20 to 20,000 Hz. Using their default audio profile, they offer a stunning wide soundstage, with slightly forward bass, that was warm and punchy, but never overwhelming. If it isn’t to your liking, you can push the E8s to sound “excited,” “warm,” “relaxed,” or “bright” through the equalizer in the app. In addition there’s no noticeable audio delay when watching videos on your phone or PC. Which is always appear on other Bluetooth headsets. Duration B&O states that when played at a moderate volume, their E8 headphones should run for four hours before needing to be topped up. With a charging case you will get two additional charges on top of the E8s’ usual four-hour running time for a total of 12 hours. 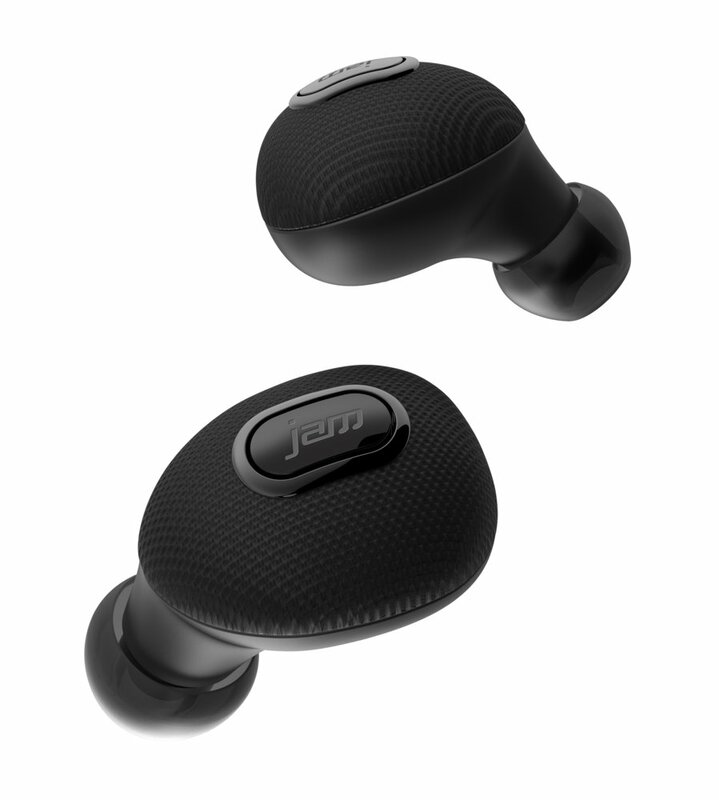 The Jam Ultra is truly Wireless Bluetooth Earbuds, which join the market since the Apple AirPods launched last year. With pricing starting at less than $100, the Jam Ultra is currently one of the best-value-for-money truly wireless sets. Appearance The Jam Ultra is no wires and no restrictions wireless sets. The buds come boxed in a plain black, charge box. The only noticeable design flourishes is bud material texture, and the central, slightly shiny Jam logos. Comfortable The three sizes of silicone tip made it easy to get a secure fit for low-impact exercises, such as running and walking. The buds dealt surprisingly well with sweat also. During a long running (about 10km), they never felt uncomfortable. Sound Quality I haven’t found a pair of true wireless earphones that offer a great sound quality yet. This earbuds with wireless bud standards sound quality is more than good enough and better than many the same price competing sets. Jam Ultra’s audio is fairly flat and the distance between the low and high end feels muddied. Duration the earbud sets up to 3 hours’ play time on a single charge, and the sleek case holds your earbuds and recharges them up to 10 hours. After years of development, wireless headsets have been fully qualified for daily use, and the noise reduction, smart and other application scenarios that are ensuing have opened up endless possibilities. Hope you can find the best Earbuds after reading this article.